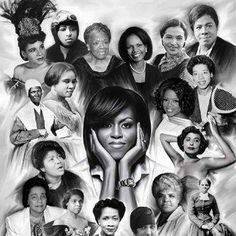 Celebrate Women Who Inspire You! Celebrate Women’s National Women’s History Month – Celebrate women trailblazers in business, the marketplace, civil rights and rebels in law- who have left us a rich legacy of courage, faith, perseverance and wisdom. Celebrate the great women entrepreneurs, market place influencers or world change agents. Celebrate the women you admire from afar and near and just “see them”; or just those who have blessed your life, sown time, love, wisdom and support in your life; or the woman you admire because she models the message of Christ because of their fruitful spirit and are Doers of the Word. 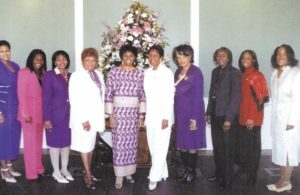 You admire the way she manages her household, raises her children and takes care of her family and still does what she does; or the woman who is unassuming, but is there when you need her , you can trust her and she can step in at a moment’s notice.Celebrate Your Sister Women Girls who do great things and bless you. Take Action. 1.Pray for them. 2.Let them know what you appreciate about them. 3. Ask what can you do for them. 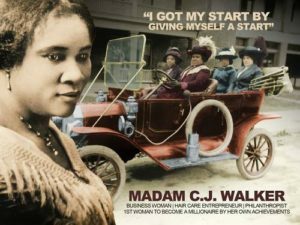 Women History Makers in Your Life: Celebrate! Women History Month -Celebrate the great women entrepreneurs and market place influencers or world change agents in your life or those you admire from afar and near and just “see them”; or just those who have blessed your life, sown time, love, wisdom and support in your life; or the woman you admire because she models the message of Christ because of their fruitful spirit and are Doers of the Word. You admire the way she manages her household, raises her children and takes care of her family and still does what she does; or the woman who is unassuming, but is there when you need her , you can trust her and she can step in at a moment’s notice. 1. Pray for them. Pray that women will be honored in their unique, God created glory; that every kind of injustice toward women will cease . 2. Let them know what you appreciate about them. 3. Ask what can you do for them. -“I got my start by giving myself a start”. -“I had to make my own living and my own opportunity. But I made it! Don’t sit down and wait for the opportunities to come. Get up and make them”. Indeed many unsung women have taken her lead and have made their own paths to success, fulfillment and service to others. Celebrate them! Linda Fegins, “The Prayer Leader” and Law and Appeals.